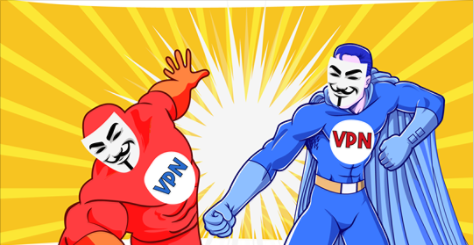 IPVanish VPN vs Private Internet Access vs IPVanish VPN vs Private Internet Access 2019 - 5 Tests, 1 Winner! IPVanish and PIA are 2 VPNs with a lot going for them. Both are completely log-less, though IPVanish runs out of the British Virgin Islands, giving them a slight edge over PIA, which runs out of the US and is thus subject to the stricter laws therein. PIA has very customizable security options such as optional DNS leak protection and adjustable encryption strength, but IPVanish includes NAT firewall with every subscription, which is a very strong layer of added security. IPVanish also has a plethora of countries to choose from, second only to HideMyAss, as well as a free proxy. PIA does stand out in the area of customer service, providing a 24/7 live chat option, whereas IPVanish has a strong knowledge base, but has no live chat option, a big minus in our opinion. Of great importance is IPVanish’s speeds, which are second-to-none. IPvanish controls their own tier-1 network backbone, which basically means your speed is only limited by the users’ normal bandwidth connection, not by any limit on IPVanish’s end. IPVanish offers high-speed connections and an impressive list of advanced security features at a budget-friendly price. For this review, we put IPVanish through its paces. We thoroughly tested its speed, performance, ease of use, and ability to access popular streaming services like Netflix. We hope this will help you decide if it's the best VPN service for you. Awesome Experience User-friendly interface. Excellent speed test performance. Hundreds of servers around the globe. Allows BitTorrenting. Automatic IP address cycling. Kill switch. I like the flexibility of the service and the options that are offered. Private Internet Access (PIA) is one of the most popular VPNs on the market. True to its name, this provider is best known for its strict no-logs policy and commitment to user privacy. Beautiful service This VPN service is the one of best and strongly secure. PIA give you new experience in network because you can do more without any controle from your ISP and others users in your network. I recommend this service because their policy is strictly no logs and when i use this service for five years i never been compromised during browsing . Both VPNs offer good features and advanced options. IPVanish works in China, offers more servers, better speeds, and sleeker apps. On the other hand, PIA is more budget friendly. Best VPNs for Torrents IPVanish welcomes torrenting on all its servers, giving it the advantage over PIA, which allows torrenting only on specific servers. IPVanish also provides higher speeds and more stable connections. IPVanish welcomes torrenting on all its servers, giving it the advantage over PIA, which allows torrenting only on specific servers. IPVanish also provides higher speeds and more stable connections. Best VPNs for Windows IPVanish and PIA both sport highly functional and customizable Windows clients with advanced features - including a kill switch, port switching, and IPv6 leak protection. However, IPVanish's Windows app is better organized and easier to use, though a little more pricy than PIA. IPVanish and PIA both sport highly functional and customizable Windows clients with advanced features - including a kill switch, port switching, and IPv6 leak protection. However, IPVanish's Windows app is better organized and easier to use, though a little more pricy than PIA. Best VPNs for Android The two VPNs both offer solid client apps for Android users. Both use OpenVPN as their default protocol, but you can also configure other protocols like PPTP and L2TP. They both also include a kill switch in their Android client. The two VPNs both offer solid client apps for Android users. Both use OpenVPN as their default protocol, but you can also configure other protocols like PPTP and L2TP. They both also include a kill switch in their Android client. Best VPNs for Mac Apple fans will appreciate IPVanish's Mac client. Not only is it intuitive and user-friendly, it even gives you a full view of your network activity. It also includes a kill switch and DNS leak protection. Similarly, PIA offers a decent app with a kill switch and anti-leak features. Apple fans will appreciate IPVanish's Mac client. Not only is it intuitive and user-friendly, it even gives you a full view of your network activity. It also includes a kill switch and DNS leak protection. Similarly, PIA offers a decent app with a kill switch and anti-leak features. Best VPNs for iOS Neither IPVanish nor PIA use OpenVPN as the default protocol for their iOS apps. IPVanish uses IKEV2 by default, while PIA uses L2TP/IPsec. Both apps are easy to install and use. Neither IPVanish nor PIA use OpenVPN as the default protocol for their iOS apps. IPVanish uses IKEV2 by default, while PIA uses L2TP/IPsec. Both apps are easy to install and use. Best VPNs for USA While IPVanish and PIA are both US-based, they both fail to access some popular services such as Hulu, Amazon Prime, and HBO NOW. IPVanish can now access Netflix USA, whereas you can’t unblock Netflix at all with PIA. While IPVanish and PIA are both US-based, they both fail to access some popular services such as Hulu, Amazon Prime, and HBO NOW. IPVanish can now access Netflix USA, whereas you can’t unblock Netflix at all with PIA. IPVanish is the winner, though not by much. Both providers provide very good security, have great options such as kill switches and free proxy servers, and both score equally well in our reviews. IPVanish takes the lead with their speed and inclusion of NAT firewall. Their software also has a much more up-to-date feel than PIA’s and has the great option of automatic server rotation. Of importance for some is the fact that IPVanish is proficient at breaking through the Great Firewall of China, while PIA is known to have issues in this area. While you will pay a few more dollars for IPVanish, it is well worth it. User-friendly interface. Excellent speed test performance. Hundreds of servers around the globe. Allows BitTorrenting. Automatic IP address cycling. Kill switch. I like the flexibility of the service and the options that are offered. This VPN service is the one of best and strongly secure. PIA give you new experience in network because you can do more without any controle from your ISP and others users in your network. I recommend this service because their policy is strictly no logs and when i use this service for five years i never been compromised during browsing . IPVanish is easy to install and use. Its apps are lightweight, which is great if you are using an older computer, notebook, or cell phone. It offers flexible subscription options with attractive discounts. Unfortunately, it doesn’t accept anonymous payment methods like Bitcoin, so you’ll need to use your credit card or PayPal account to register. Its 24/7 customer support team is responsive and polite. Unfortunately, when asked about its free trials, the team member who spoke to me gave me an incorrect answer.